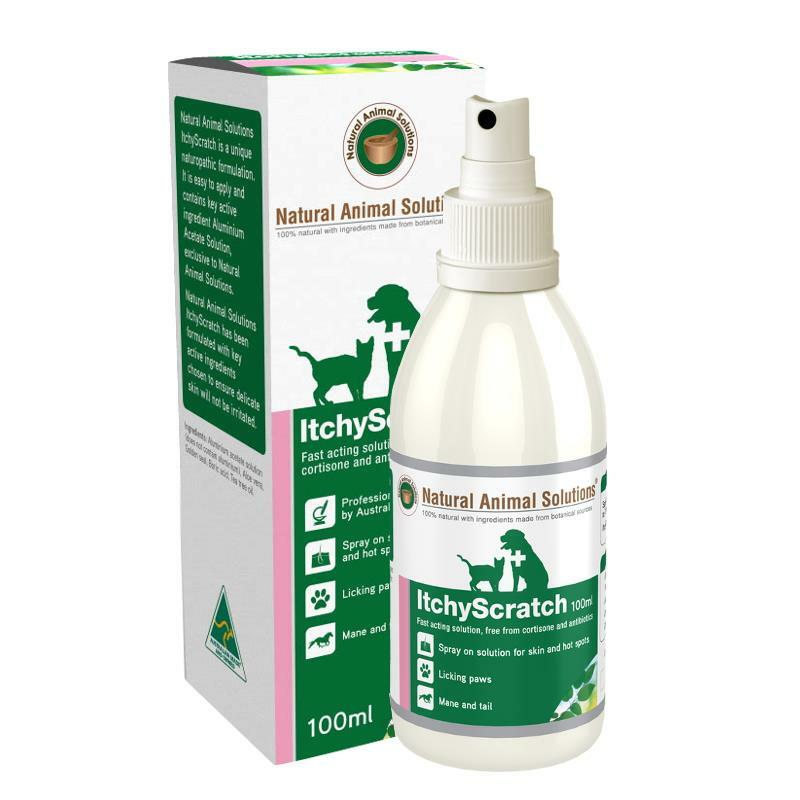 Natural Animal Solutions ItchyScratch Spray 100ml is a simple-to-apply spray that relieves itching and heals ravaged skin. ItchyScratch spray provides pet owners with a simple-to-apply spray that relieves itching and heals ravaged skin. Use on moist skin conditions. Directions: Spray directly onto affected areas up to 4 times daily.